Images of the earthquake in Lorca near Murcia, on May 12, 2011 a day after a magnitude 5.1 quake Killed at least nine people, toppling buildings Into the streets and sending panicked residents Fleeing. Workers and emergency army pitched tents and handed out food to Thousands of evacuated after a 5.1-magnitude quake killer smashed-through the historic Spanish city. 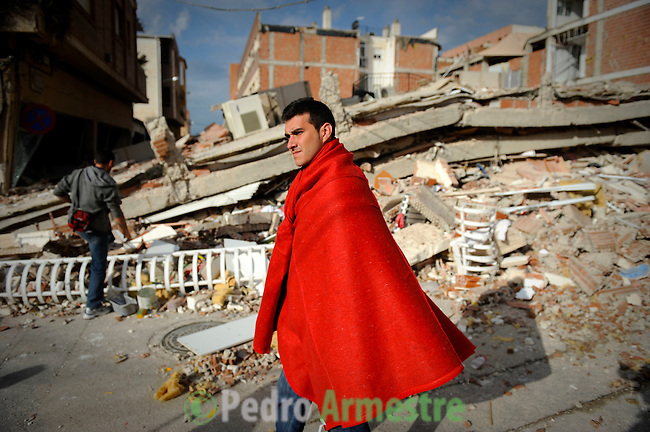 Nine people, Including a Child, perished when to Spain's Deadliest Quake in More Than 50 years rocked the southeastern city of Lorca, the Regional Government of Murcia said (c) Pedro ARMESTRE.